JAY ROSEN teaches journalism at New York University, where he has been on the faculty since 1986. From 1999 to 2004 he was chair of the department. 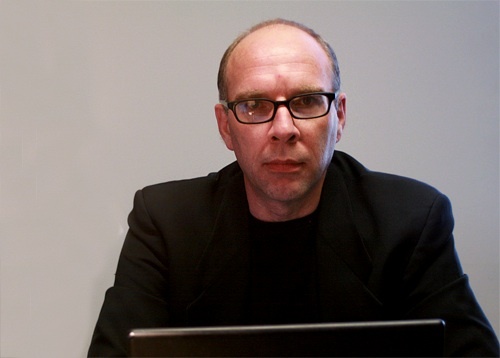 He is the author of PressThink, a blog about journalism's ordeals in the age of the Web, which he launched in 2003 (http://pressthink.org) In 1999, Yale University Press published his book, What Are Journalists For, which was about the rise of the civic journalism movement. In July 2006 he announced the debut NewAssignment.Net, his experimental site for pro-am, open source reporting projects. The first one was called Assignment Zero, a collaboration with Wired.com. A second project was OfftheBus.Net with the Huffington Post, for which he served as co-publisher with Arianna Huffington. Rosen has a Ph.D in media studies from NYU. He writes and speaks frequently about new media and the predicament of the press in a time of rapid transformation.